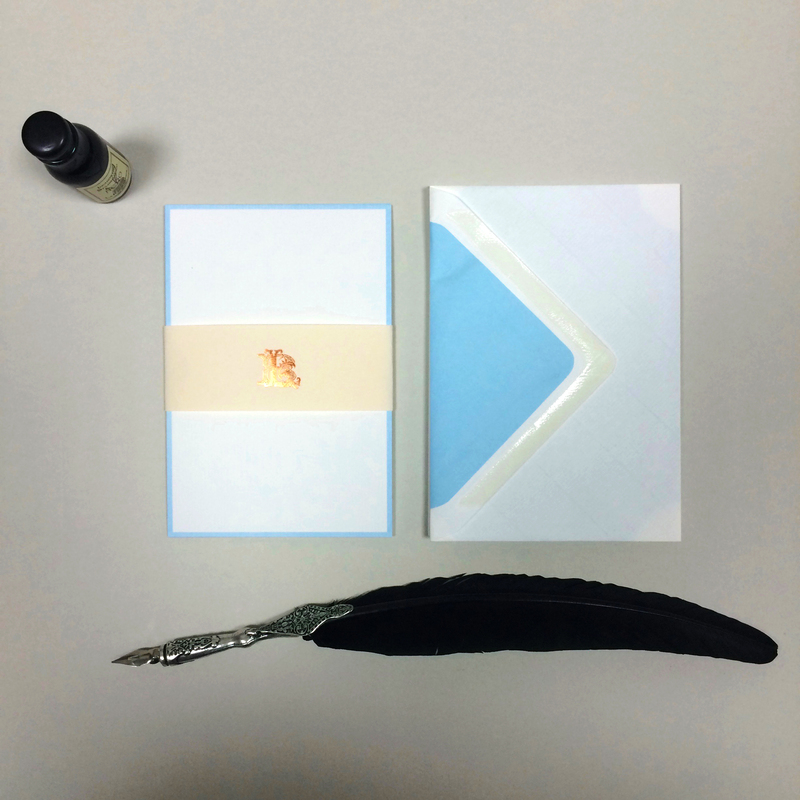 These ice blue bordered cards are the perfect way to inject some colour into your personal stationery wardrobe. The cards are 350gsm white with a laid finish. The envelopes are lined in a colour matched tissue.